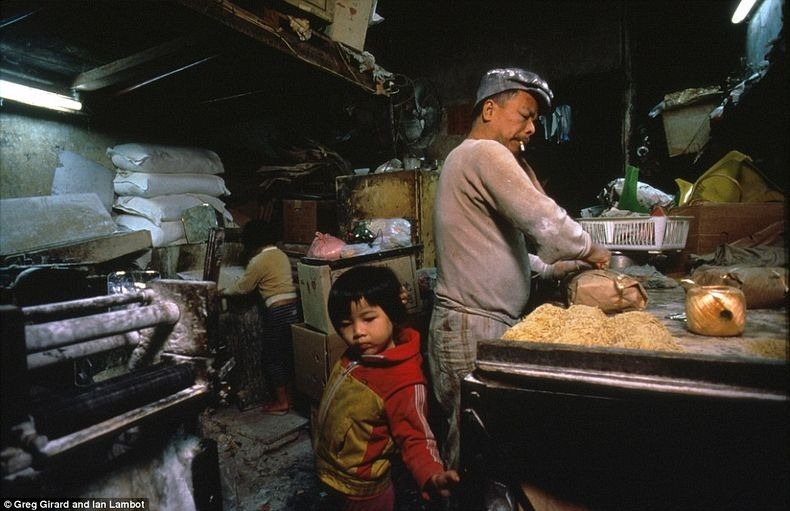 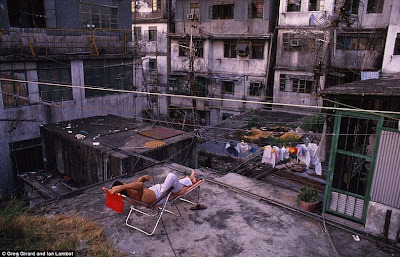 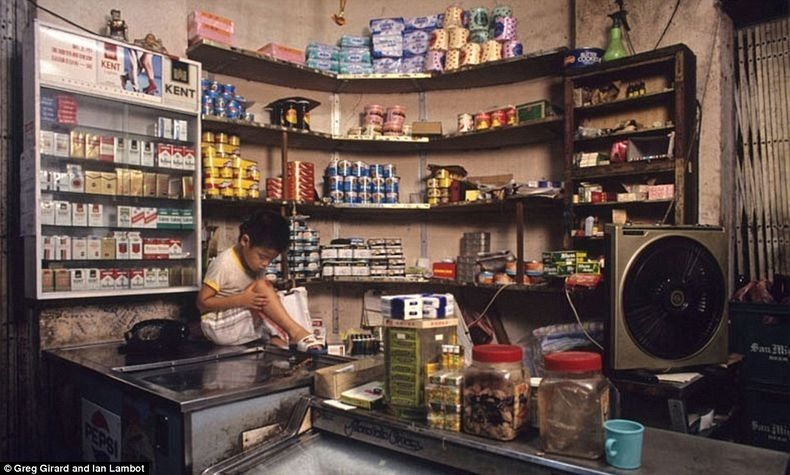 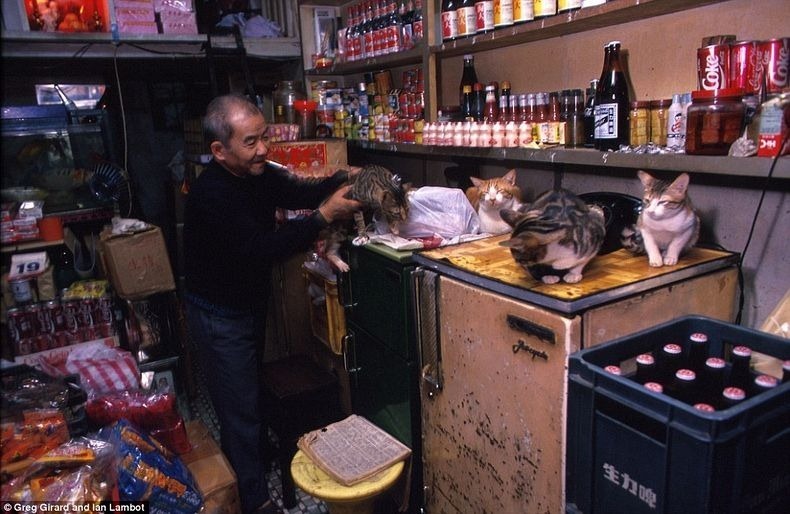 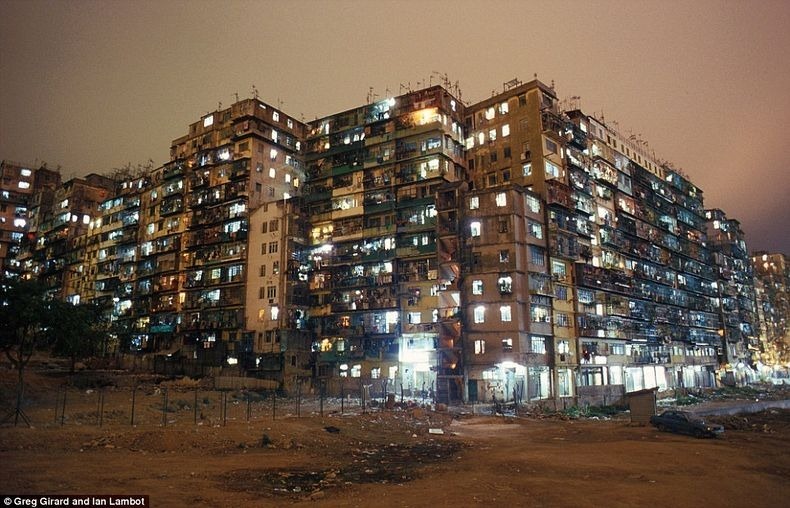 Kowloon Walled City was a largely ungoverned Chinese settlement in Kowloon, Hong Kong, comprising of 350 interconnected high-rise buildings where 33,000 residents lived within a plot measuring just 210 meter by 120 meter. 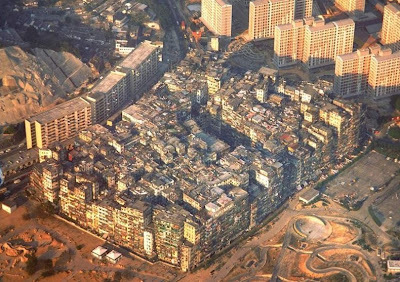 Originally a Chinese military fort, the Walled City became an enclave after the New Territories were leased to Britain in 1898. 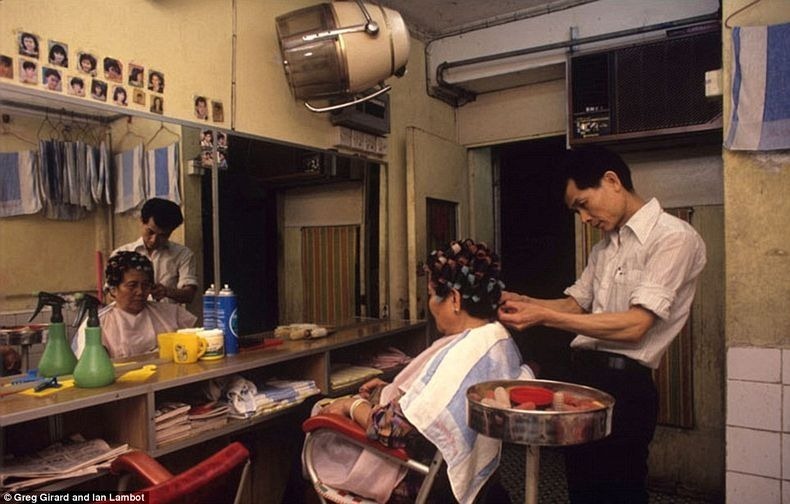 Its population increased dramatically following the Japanese occupation of Hong Kong during World War II and reached a peak of 33,000 residents in 1987. 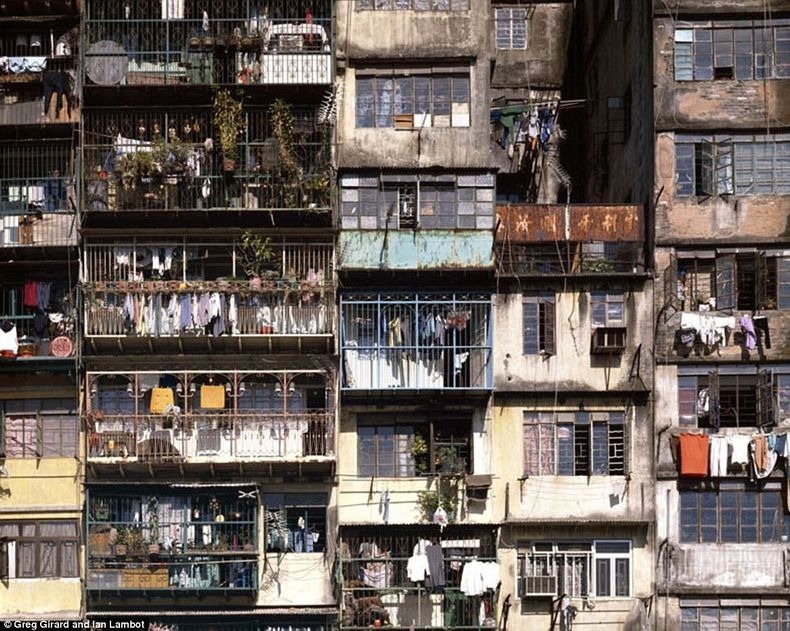 When it was demolished in 1993-94, it was thought to be the most densely populated place on earth. 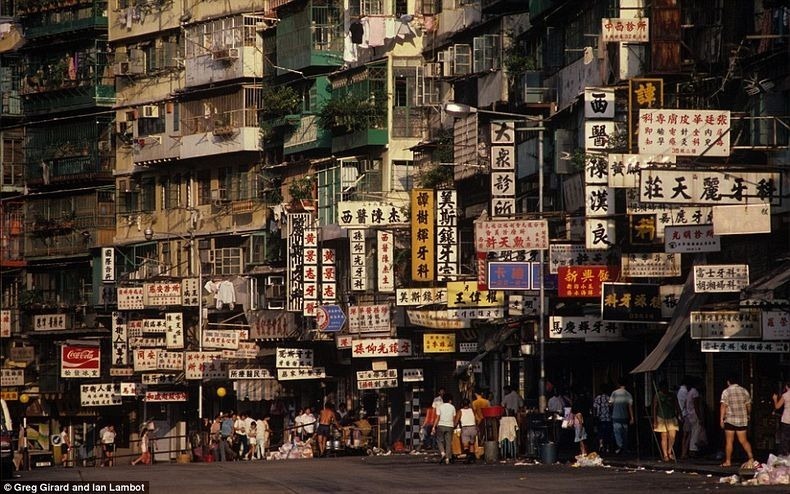 The roughly 350 buildings that stood inside the Walled City were built with poor foundations and few or no utilities. 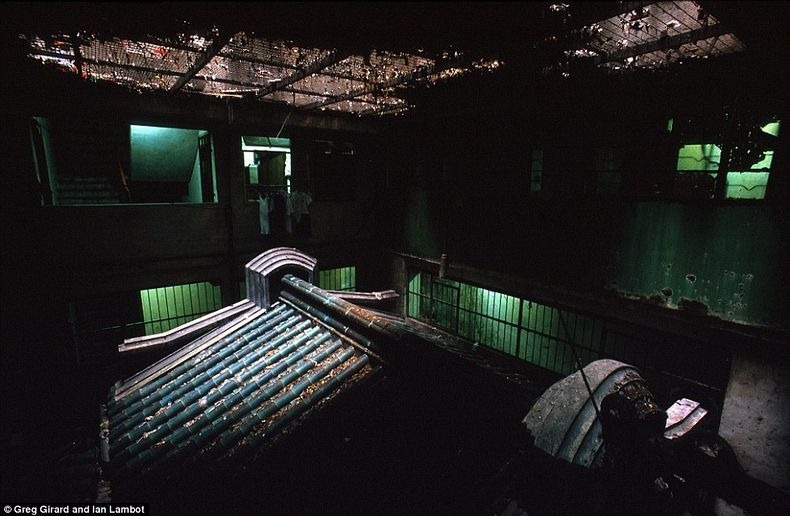 The construction was so dense that sunlight didn't filter down to the lower levels, which were lit by fluorescent lights. 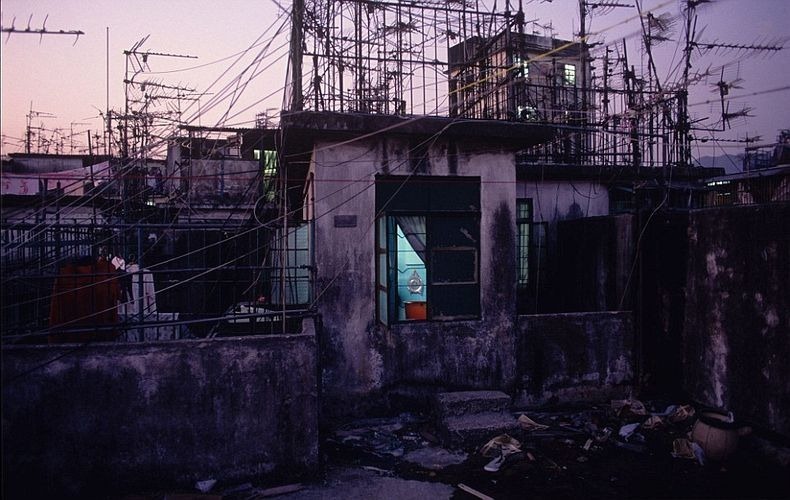 Because apartments were so small, space was maximized with wider upper floors, caged balconies, and rooftop additions. 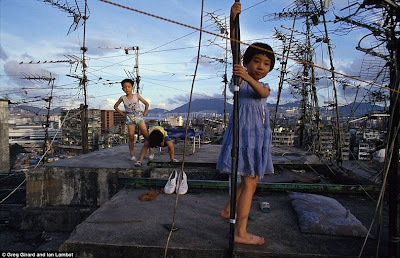 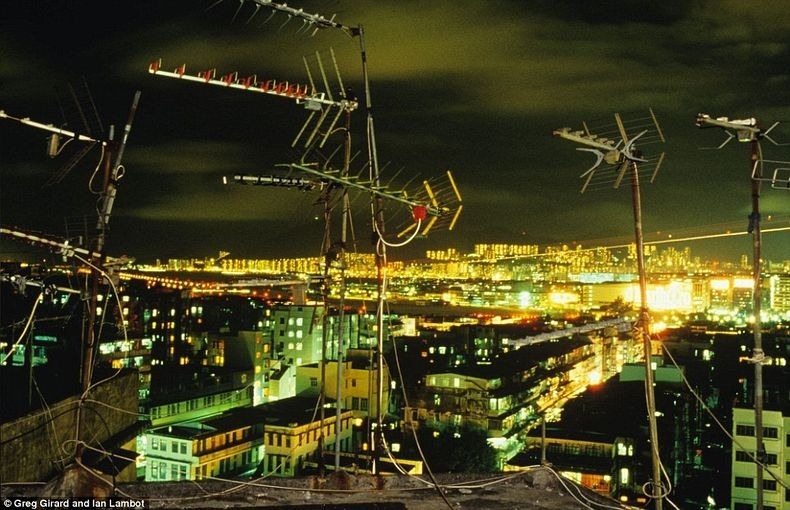 Roofs in the City were full of television antennas, clotheslines, water tanks, and garbage, and could be crossed using a series of ladders. 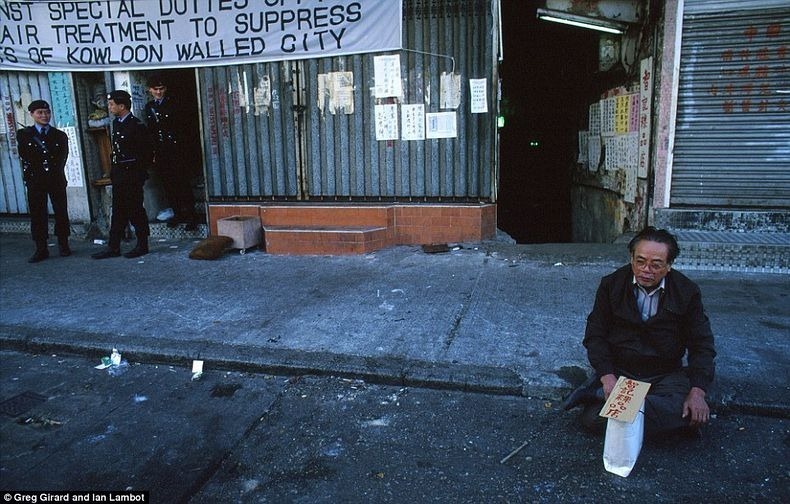 2 responses to "Kowloon Walled City, a Population Density Nightmare"
Its an Asian Borg Cube!